Has the recent extreme heat been effecting you asthma? Does the heat also effect your allergies? Heat and humidity can play major factors in someones asthma or allergies. With the mild winter and the hot summer, extends the life of plants and causes more pollen to be in the air. Hot humid air can also be a factor in asthma attacks. When these attacks occur you need asthma and allergy doctors in Michigan to help you with your symptoms. Westland Clinic provides some of the best asthma and allergy doctors in Michigan. An experienced asthma and allergy doctor in Michigan is hard to come by. 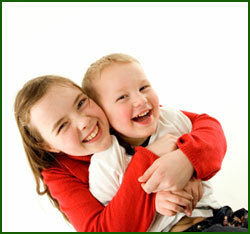 But Westland Clinic provides experienced knowledgeable doctors for you and your family. The Westland Clinic staff are professional and friendly staff that will take care of all your needs. Do not hesitate, contact Westland Clinic today or call us at 734.728.2130.